Marilyn became involved with Paradise FM back in 2008 when she sent an overview for a Health & Wellbeing segment named “Just Do It”. Marilyn, like many people her age, has experienced numerous interests, lived in numerous places and had numerous jobs – office work, running her own businesses – including a supermarket! and teaching (both locally and internationally). Marilyn enjoys interacting with people and her interests have always included community involvement with not-for-profit groups, organisations and clubs. Marilyn is a continuing student of photography but a film “dinosaur”. Her ideal weekend would be spent in the darkroom with her B&W film and listening to Paradise FM. Marilyn has being privileged to travel the world and has explored parts of Europe, Scandinavia, Tunisia, Uzbekistan and Russia as well as countries closer to home. Marilyn believes that living in another country, truly makes you appreciate your own. Marilyn has lived in Wollongbar since 1984 and refers to the town has her own “Paradise”. She particularly enjoys the small, friendly community, the peace and quiet, the landscape as well as the afternoon breezes on hot summer days. Marilyn has noted that on every form being completed, “Occupation” seems mandatory. Once retired, options appear limited: “engineer – retired”, “teacher – retired”, “ex-business owner” etc. She puts “life explorer” every time! 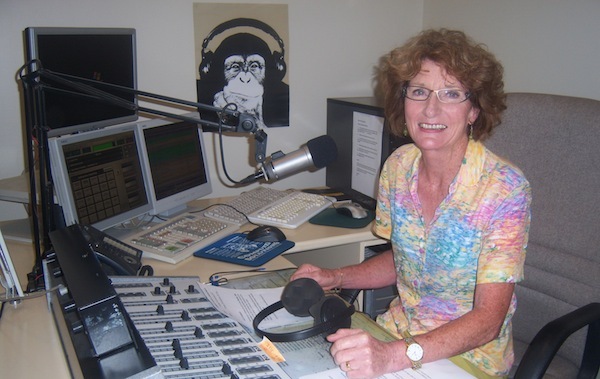 You can catch Marilyn 1pm-3pm Monday afternoons as she brings you “The Best Music of All Time”.